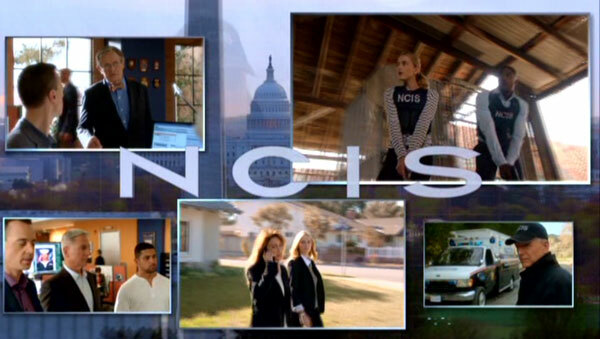 Season Synopsis: Special Agent Leroy Jethro Gibbs (MARK HARMON) and the Major Case Response Team — including old members Special Agent Timothy McGee (SEAN MURRAY), lab tech/goth Abby Sciuto (PAULEY PERRETTE), Probationary Agent Ellie Bishop (EMILY WICKERSHAM) and M.E. Donald “Ducky” Mallard (DAVID MCCALLUM) — continue to answer the call of duty whenever crimes involve the U.S. Navy. This season, two new agents enter the fold: Nicholas Torres (WILMER VALDERRAMA), Alexandra Quinn (JENNIFER ESPOSITO) and MI6 Officer Clayton Reeves (DUANE HENRY), who specializes in cases with international repercussions. Quick Hit Review: Despite the departure of Michael Weatherly last season, and his presence is missed, and the fact I haven’t warmed up to the newcomers, though I’m willing to give someone like Valderrama a chance while Esposito is a one-and-done actress leaving after this season (being replaced by Maria Bello for season 15), I still enjoy NCIS mainly for the veterans. The stories are alright and the series still feels fresh providing opportunities to expand on these characters backgrounds. Harmon as always is great; McGee is fine playing second-in-command I suppose but feels weird in that spot; I actually like Wickersham’s Bishop even though fans have never warmed up to her; Abby as always is a ball of energy and I’ve always enjoyed McCallum’s Dr. Mallard, though one wonders if retirement is in the cards, albeit he is a young looking 84-years-old. As with previous sets, the 6-discs are housed in 3 separate thin case tucked inside a cardboard slip case. Opening Pandora’s Box (12:13) takes viewers behind the scenes in the NCIS / NCIS: New Orleans cross-over episode. Above Board: A Look at Season 14 (22:37) – Cast and crew reflect the characters and stories for the fourteenth season with some behind-the-scenes footage. Tribute to Gary Glasberg (3:48) – the NCIS showrunner and executive producer died suddenly at only the age of 50. The NCIS family talks about their friend and we get some old interview footage. Brian Dietzen’s NCIS (8:55) – The actor gives viewers a tour of the NCIS backlot. 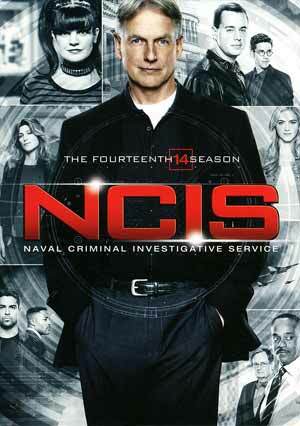 NCIS arrives on DVD through Paramount and shown in its originally televised 16×9 enhanced 1.78 widescreen aspect ratio. The video this time around more or less matches up with previous seasons where colors are more on the drab side, moving more towards naturals so there’s real pop to it, however the overall look is nice. Overall, NCIS: The Fourteenth Season does take a bit of a step back following Weatherly’s departure but the charm is still there and the newcomers weren’t bad, although Jennifer Esposito is a one-and-done as she left and her absence will likely be resolved with a single sentence. In any case, I still enjoy the series and can only hope the team dynamic can gel next season.